My latest art quilt has been made in response to a challenge set by the Cranwell Contemporary Stitch group. The challenge was set in January and the theme was “what Winter means to me”. Being a new member meant I didn’t have much time to lose as the deadline for handing in the finished work was going to be the second week in April. Since signing up for the David Hockney Challenge last year I have become very interested in depicting trees in my work and all through the Winter I have been noticing trees like I have never done before. 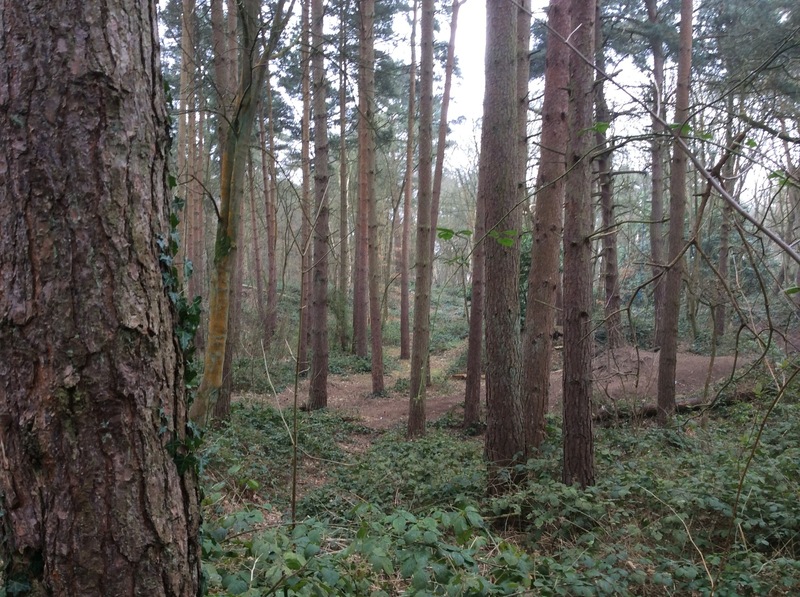 With this in mind I knew immediately that I wanted to create another tree themed quilt so took my camera on a walk through the woods in Woodhall Spa. This is a beautiful spot and I came home with dozens of images which will provide me with inspiration for a long time to come! The image I chose to work with is the one shown below. 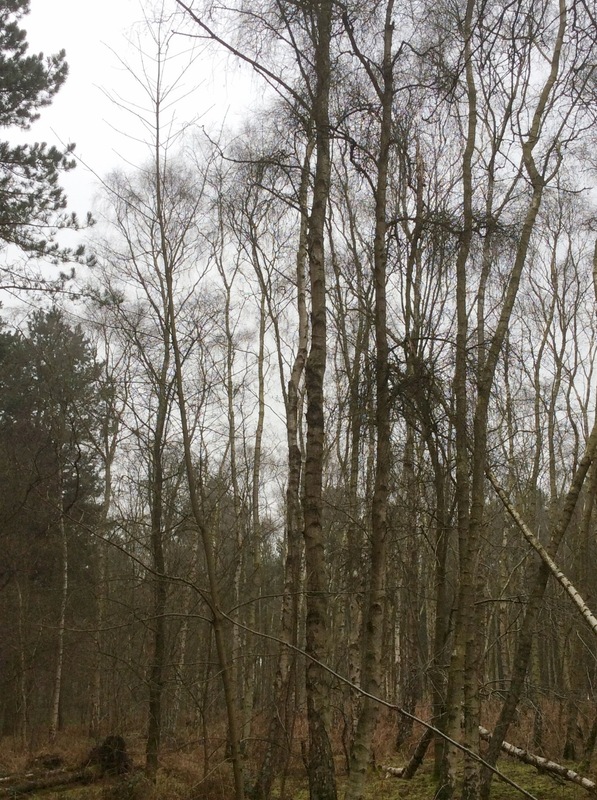 I began by painting a very pale grey sky and a grey/green backdrop for the woodland using Procion dyes. I bought a starter kit of Procion dyes when I visited Artvango and this was my first attempt at working with them. 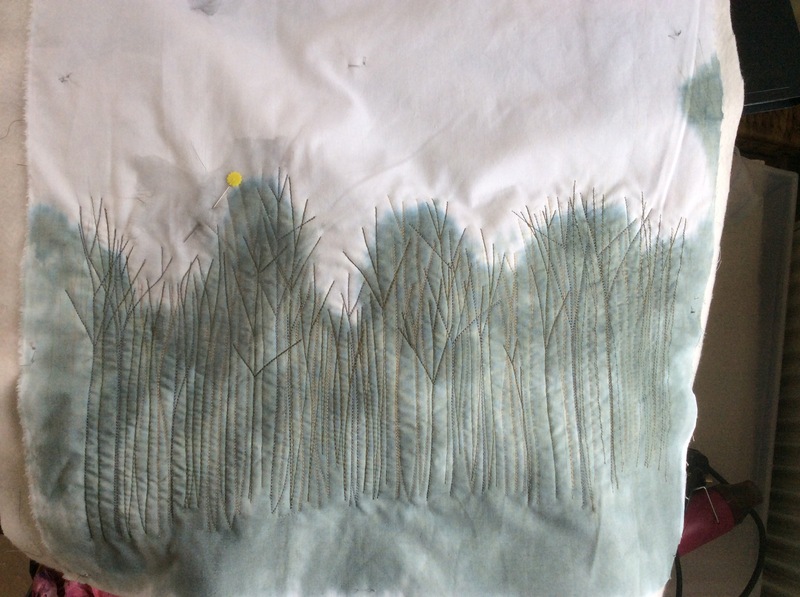 The next step was to machine sew the background trees in shades of green and cream thread. I then added torn strips of green sheer fabric and a little black netting to create shadows. Silver embroidery thread was hand stitched to make the tall thin silver trees in the mid-ground. 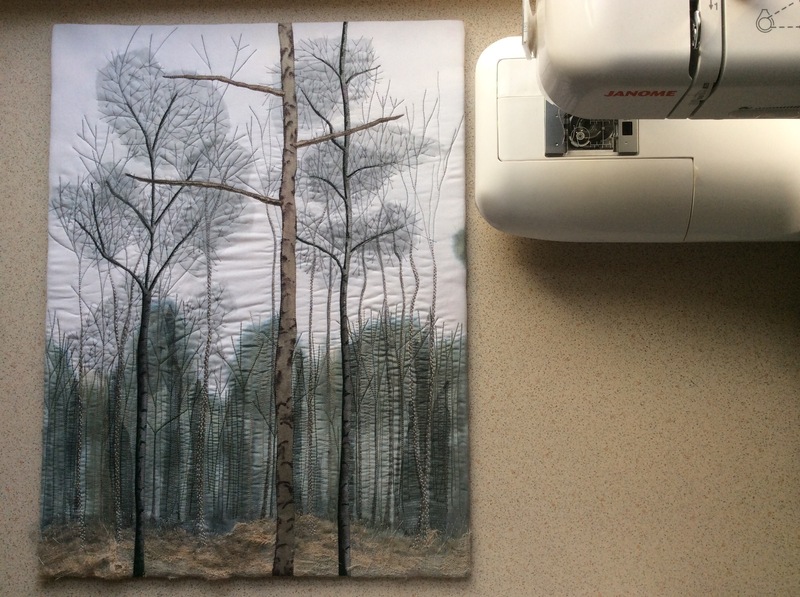 At this stage I machined the thin branches of the trees, added grey sheer fabric in patches over the top and held it in place with a criss-cross of hand stitches branches. The woodland floor is hand stitched silver thread over dyed muslin which has been roughly cut and layered with small snippets of gold organza. The three main tree trunks were formed from iron-on Vilene which was coloured with Procion and bark detail was added using Inktense pencils. 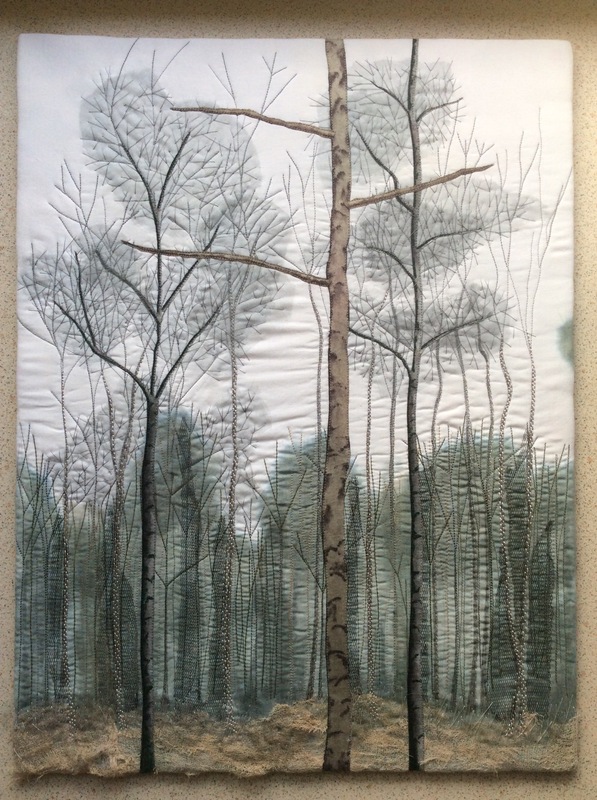 The finished piece measures 15″ x 20″ and unlike my last “tree” quilt, which was done with free machine stitching, all of the machine work on this one was done with the feed dogs up using a walking foot. ← David Hockney In Stitches…..
My lord you’re talented! I love love love the floor where you got the texture of the loamy leaf-litter and it sets so much depth to the trees! I haven’t done any quilting yet. I seriously doubt I’d ever be able to manage something as beautiful as this! Your very kind. 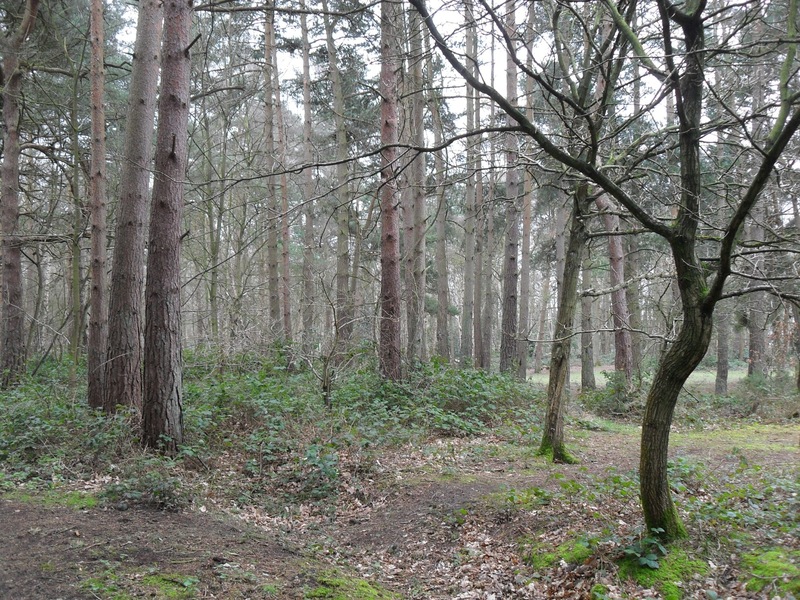 The woodland floor is my favourite bit too. It might look difficult but I would feel exactly the same if you were to put a dress pattern in front of me…..I would love to attempt dress making (and I will do some day) but it looks very daunting! Wow! Spectacular! 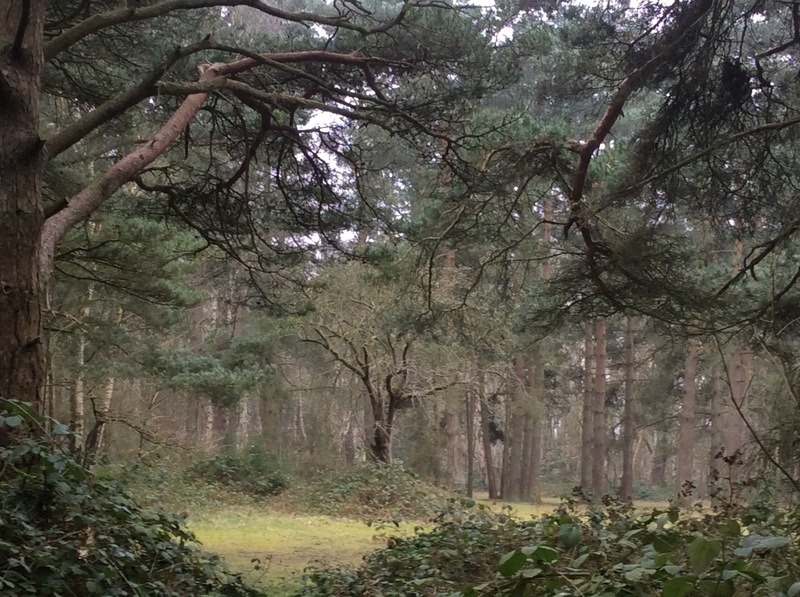 You have so captured the essence of the woods. Thank you, it’s so nice to get positive feedback.